Loving: The new Bonne Chance Collection dresses. I especially want this dress! Listening: I updated my blog playlist so go check it out if you want to listen to some new tunes. It's on the bottom right side of my blog. Excited for: Rilakkuma and Kaoru on Netflix! Remember to join my BlackPink Fan Stick giveaway! Pledge to my Patreon for more crochet-related content. This Friday Netflix will be releasing "Rilakkuma and Kaoru". 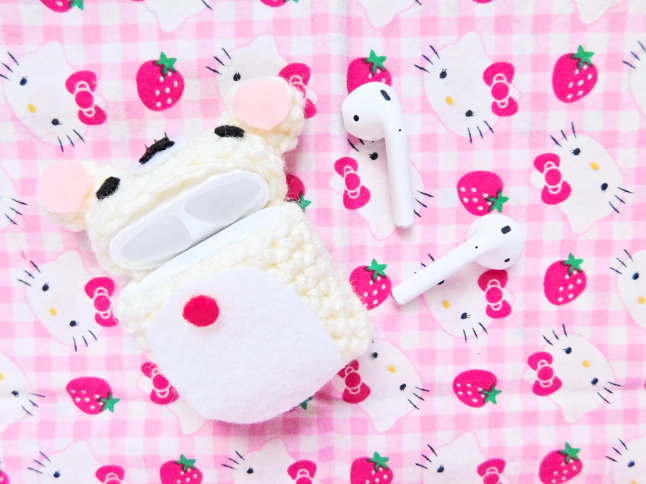 In honor of the release, I'm sharing this Korilakkuma cozy that I made for my AirPods. 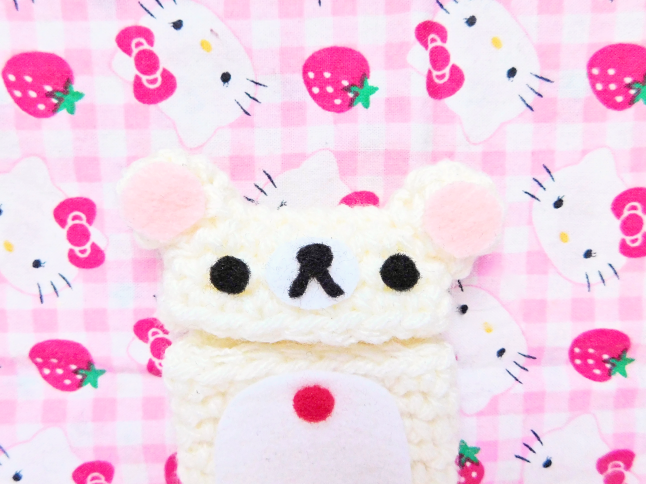 I decided to make Korilakkuma because I love Korilakkum! 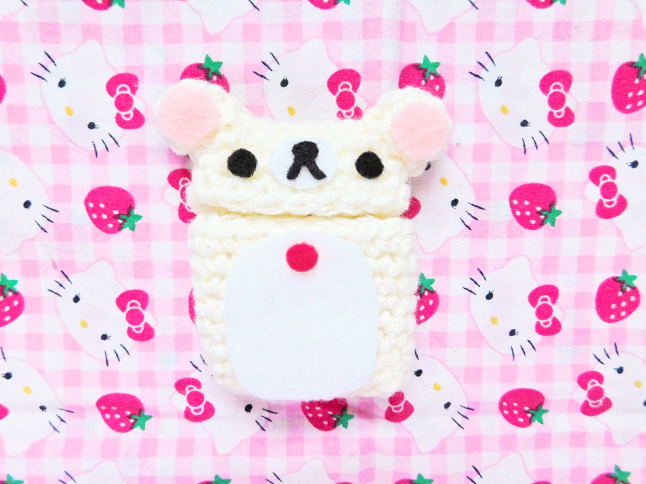 You can always make Rilakkuma if you have a brown yarn (like this one) or make a couple item by making both! This pattern first appeared on my Patreon. 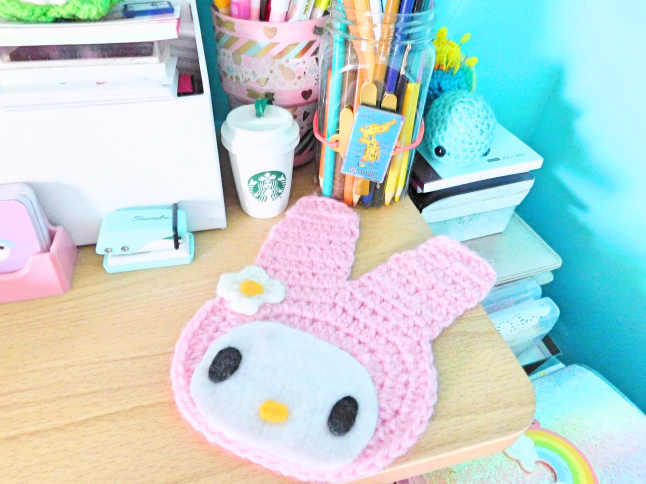 If you would like to see more crochet patterns before anyone else pledge to my Patreon. 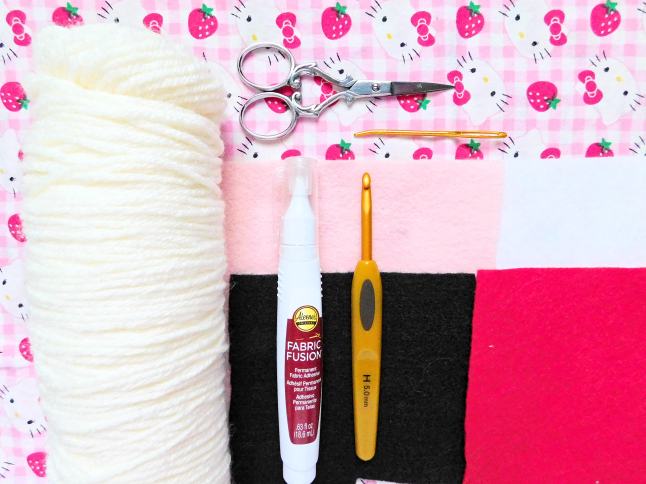 Sew the ears to the corners of the cozy. Attach the top of the cozy to the bottom part of the cozy by sewing 9-10 sts of one side. With felt, cut out a big white circle oval piece for the stomach, one small red circle, two pink circles for the ears, two smaller black circles for the eyes, one small white circle for the mouth and black nose for Korilakkuma's mouth. Glue everything down in the correct placement and press to secure, let dry. Optional: Replace the red felt circle with a small red button and with same cream yarn attach a circle to the center of the top cozy. This way you can securely close the cozy. 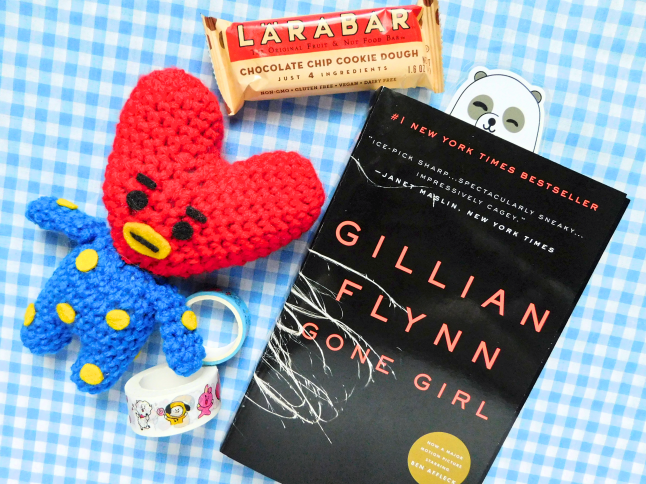 Do you prefer Rilakkuma or Korilakkuma? 7 is my favorite number. I was born on the 7th month and if you multiply the 7 by 2 you get 14 which was the day I was born. That's why I wanted to start a new series which I share 7 things. Today I'm starting with one of my favorite places in my room, my desk. 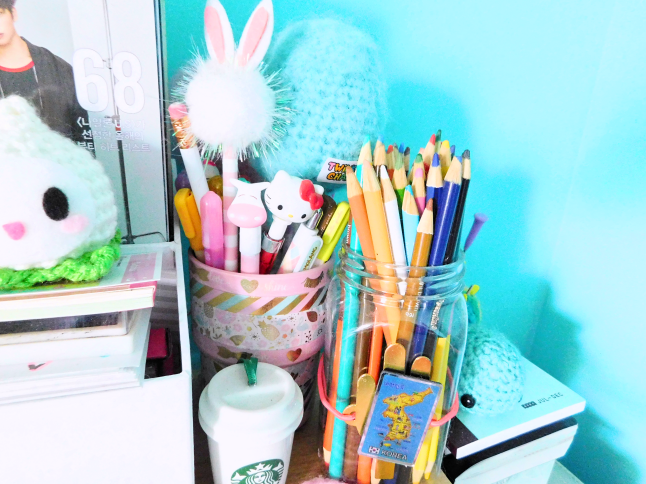 I've posted several posts featuring my desk before but I'm always refreshing things up on my desk. 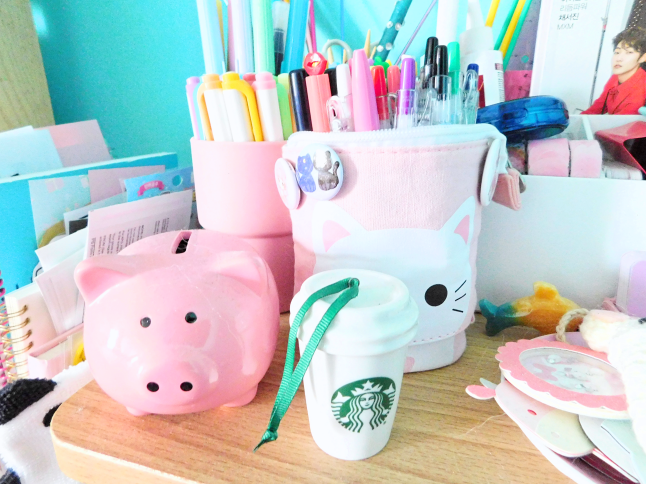 By the way, as I was linking past posts to this post I noticed that my desk is extremely messy. Sorry! 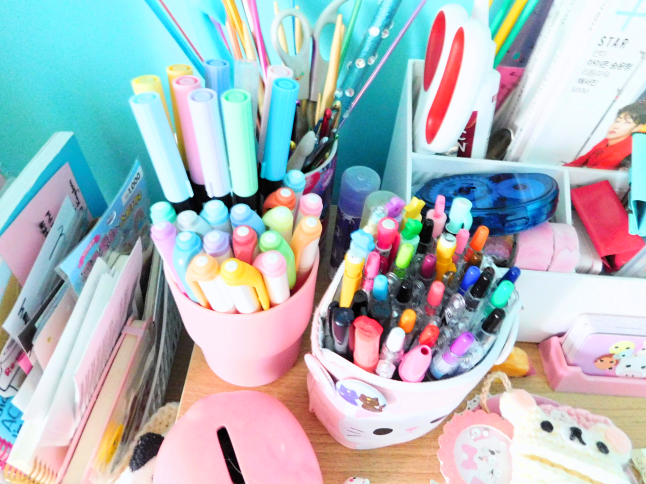 You will notice that I keep a lot of writing pens and pencils on my desk so of course, I don't have enough time to use all of them. All of the pens and pencils in the pink cup (which I decorated with washi tape) ran out of ink or I don't use anymore. 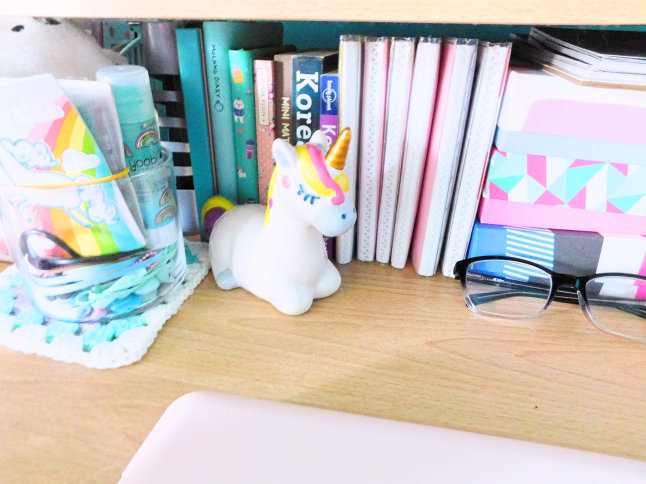 I like to keep "pretty pens" as decorations for stationery posts. The colored pencils I do use but not as often as other pens. This is a Starbucks coffee cup ornament that I bought for my mini Christmas tree a few years ago. I loved it so much that it now sits on my desk. Like every creative person, I love unicorns! I bought this for $3 at Target. 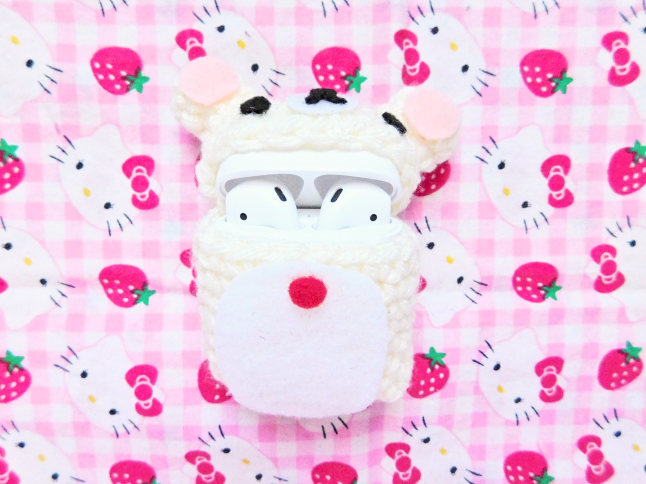 It's super cute and usually has a washi tape hanging from its horn. Since I shared my unused pens I had to share what I use instead. In the cup on the left, I store all of my Tombow dual brush pens and Zebra Midliner pens. In the pouch on the right, I keep my Pilot Juice pens, stamp pens, and pencils (want to see what's in my pen pouch?). Just looking at all the colors make my heart happy. I took this when I was planning in my Hobonichi. 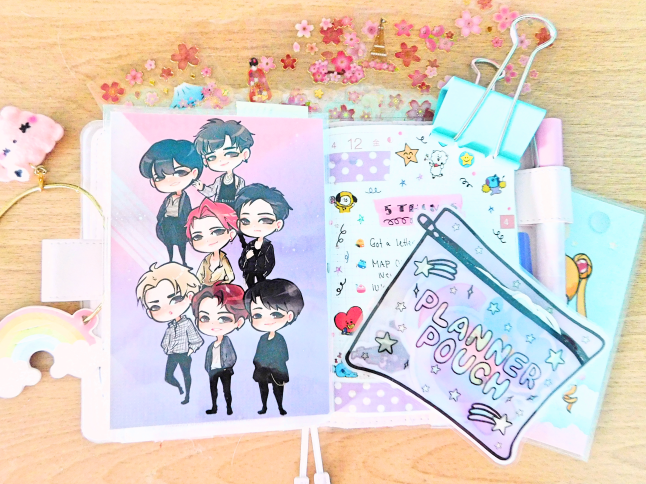 The sakura stickers are from Amazon, that MONSTA X dashboard is from HelloPaperCat, and that planner pouch is from Unicorn Planner, I like to store my die cuts in there. One thing you should know about me is that I love magazines! I have so many issues of magazines in my room. 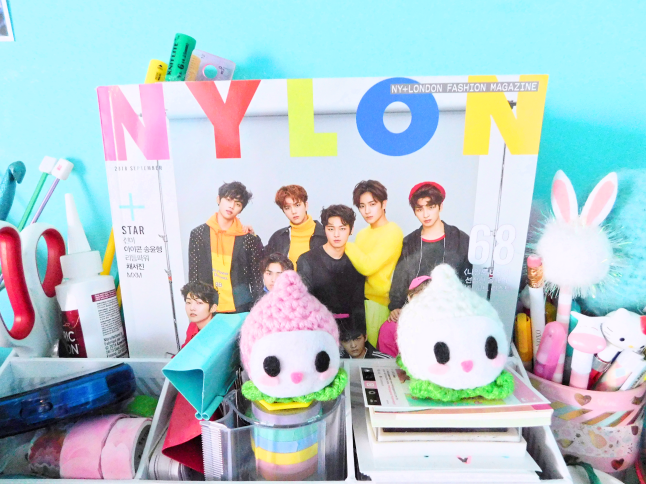 Even though Nylon here in the States isn't in print anymore I still like getting Nylon Korea and Japan magazines, especially since they usually featuring idols. In front of the magazine are some Pachimari plushies (crochet pattern available here). What do you keep around your desk?